An international crew of three is getting ready for a two-day ride to the International Space Station. The Soyuz rocket that will lift them to space rolled out to its launch pad today at the Baikonur Cosmodrome in Kazakhstan. Veteran cosmonaut Sergei Volkov will command the Soyuz TMA-18M spacecraft that will launch Sept. 2 at 12:37 a.m. EDT. Joining him for the trip to the station will be first time flyers Andreas Mogensen from the European Space Agency and Aidyn Aimbetov from Kazcosmos, the National Space Agency of the Republic of Kazakhstan. NASA Television will broadcast the launch and docking activities live. Onboard the orbital laboratory the One-Year crew members Scott Kelly and Mikhail Kornienko took part in a variety of human research experiments. They studied how microgravity affects vision and explored how spacecraft design influences crew performance. NASA astronaut Kjell Lindgren and Japanese astronaut Kimiya Yui unpacked the Multipurpose Small Payload Rack-2 (MSPR-2) from the new HTV-5 resupply ship today. The MSPR-2, which houses small science payloads, was installed in the Japanese Kibo laboratory module. (Clockwise from top) The Soyuz TMA-16M spacecraft is docked to the Zvezda service module. The ISS Progress 60 spacecraft is docked to the Pirs docking compartment. The Soyuz TMA-17M spacecraft is docked to the Rassvet mini-research module. Japan’s “Kounotori” HTV-5 is berthed to the Harmony module. International Space Station Expedition 44 Commander Gennady Padalka of the Russian Federal Space Agency (Roscosmos) and Flight Engineers Scott Kelly of NASA and Mikhail Kornienko of Roscosmos docked their Soyuz TMA-16M spacecraft to the orbiting laboratory’s Zvezda service module at 3:30 a.m. EDT. The crew members undocked from the Poisk module at 3:12 a.m. 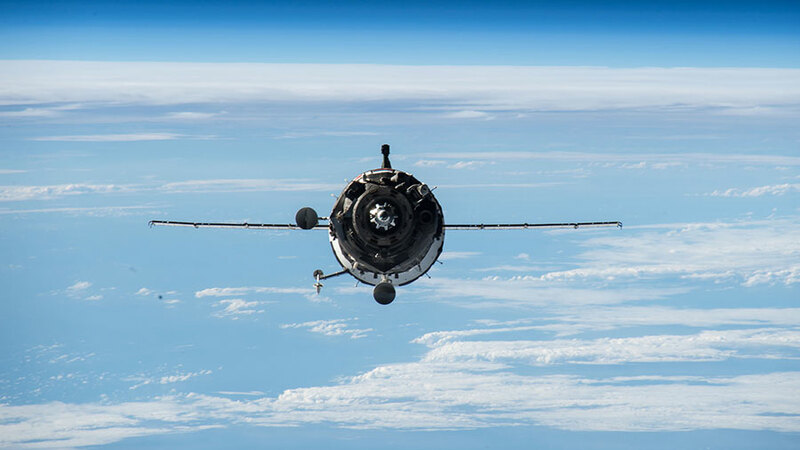 The move of the Soyuz spacecraft clears the Poisk module for the arrival of Expedition 45 crew member Sergei Volkov of Roscosmos, and visiting crew members Andreas Mogensen of ESA (European Space Agency) and Aidyn Aimbetov of the Kazakh Space Agency. 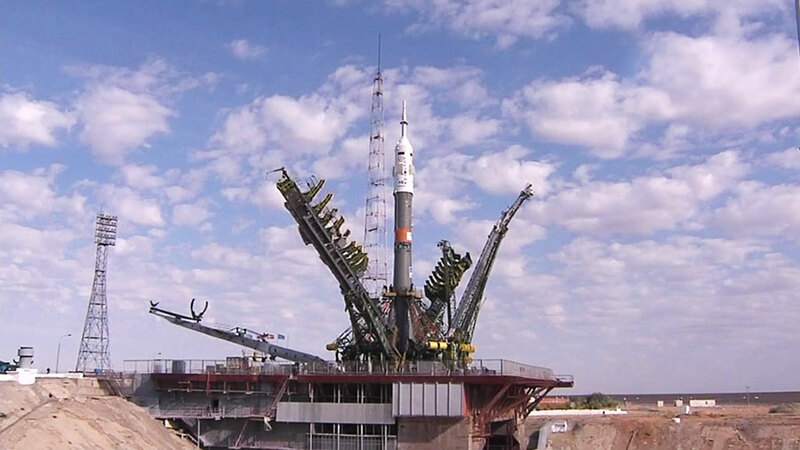 They are scheduled to launch to the station in a Soyuz spacecraft designated TMA-18M at 12:37 a.m. Wednesday (10:37 a.m. Baikonur time), Sept. 2 from the Baikonur Cosmodrome in Kazakhstan. 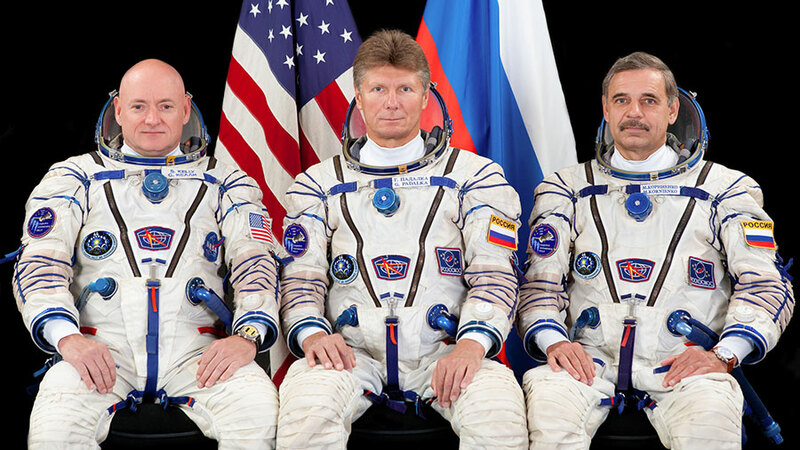 This will be the first time since November 2013 that nine crew members will be aboard the station simultaneously. Mogensen and Aimbetov will return to Earth with Padalka on Saturday, Sept. 12 in the Soyuz TMA-16M that was just relocated. In March 2016, the arriving Soyuz TMA-18M will return with Volkov, as well as one-year mission crew members Kelly and Kornienko, who arrived on station in March to begin collecting biomedical data crucial to NASA’s human journey to Mars. Stay up to date about the latest crew activities and research being conducted on the station at https://www.nasa.gov/station. NASA Television is providing live coverage of the relocation of a Soyuz spacecraft from one port to another on the International Space Station. The relocation is scheduled to begin at 3:11 a.m. EDT and last about 25 minutes. Watch the relocation live on NASA Television or at https://www.nasa.gov/nasatv. The Russian Soyuz TMA-16M spacecraft, with Expedition 44 Commander Gennady Padalka of the Russian Federal Space Agency (Roscosmos) and Flight Engineers Scott Kelly of NASA and Mikhail Kornienko of Roscosmos aboard, will undock from the Poisk module and redock at the aft port of the Zvezda service module. The relocation, the 17th such maneuver on the orbiting laboratory, will open a third docking port for the arrival of a new Soyuz vehicle, designated TMA-18M, carrying three additional crew members. That Soyuz spacecraft is scheduled to launch to the station next Wednesday, Sept. 2 from the Baikonur Cosmodrome in Kazakhstan, carrying Expedition 45 crew member Sergei Volkov of Roscosmos and visiting crew members Andreas Mogensen of ESA (European Space Agency) and Aidyn Aimbetov of the Kazakh Space Agency. Join the conversation on Twitter by following @Space_Station and the hashtag #ISS. In 2010 a Soyuz spacecraft carrying three Expedition 22 crew members undocked from the Zvezda service module and relocated to the Poisk module. 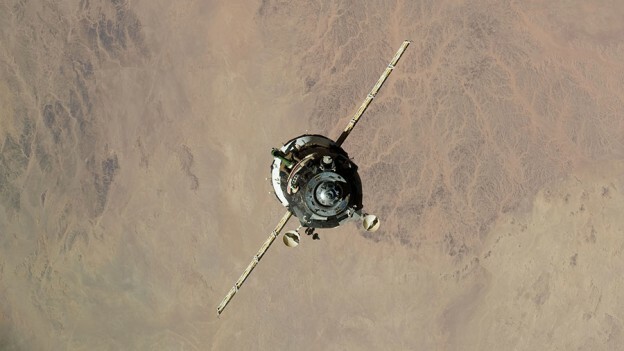 Half the residents of the International Space Station will take a spin around their orbital neighborhood in the Soyuz TMA-16M spacecraft in the early hours of Friday, Aug. 28. NASA Television coverage will begin at 2:45 a.m. EDT. Expedition 44 Commander Gennady Padalka of the Russian Federal Space Agency (Roscosmos) and Flight Engineers Scott Kelly of NASA and Mikhail Kornienko of Roscosmos will move the Soyuz from the station’s Poisk module to the Zvezda docking port. The relocation maneuver will begin with undocking at 3:12 a.m. and end with redocking at 3:37 a.m. The relocation will free the Poisk module for the docking of a new Soyuz vehicle, designated TMA-18M, carrying three additional crew members, and scheduled to launch to the station Wednesday, Sept. 2 from the Baikonur Cosmodrome in Kazakhstan. Aboard will be Expedition 45 crew member Sergei Volkov of Roscosmos and visiting crew members Andreas Mogensen of ESA (European Space Agency) and Aidyn Aimbetov of the Kazakh Space Agency. Join the conversation on Twitter by following @Space_Station and the hashtag #ISS. To learn more about all the ways to connect and collaborate with NASA, visit: https://www.nasa.gov/connect. 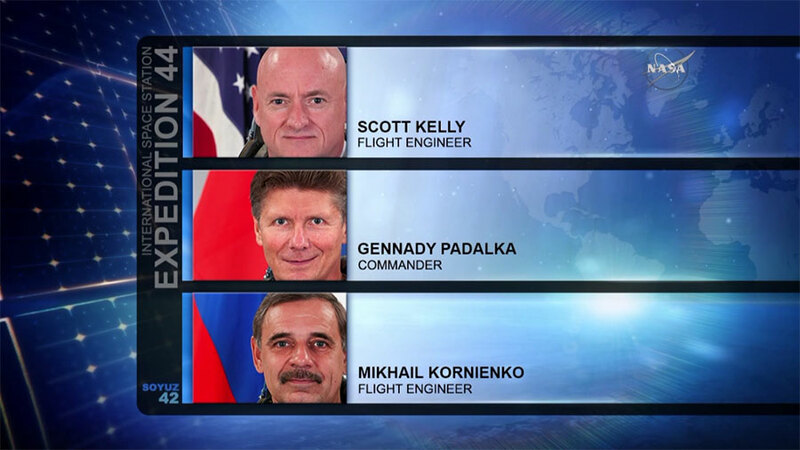 The Soyuz relocation crew members (from left) Scott Kelly, Gennady Padalka and Mikhail Kornienko. The six-person Expedition 44 space station crew is getting ready to expand to nine people next week. A docked Soyuz vehicle will be moved early Friday morning making room for a new Soyuz spacecraft carrying Sergei Volkov, a new Expedition 45 crew member, and two visiting crew members Andreas Mogensen and Aidyn Aimbetov. The orbital residents will shift their schedules tonight as One-Year crew members Scott Kelly and Mikhail Kornienko join Commander Gennady Padalka for a short Soyuz ride from one docking port to another. The relocation opens up a port for a new Soyuz crew launching Sept. 2 and docking two days later. As usual, advanced medical science is ongoing in the orbital laboratory with inputs from payload controllers on the ground and direct participation of the astronauts. Eye studies continued today as scientists observe microgravity’s long-term effects on a crew member’s vision. The crew continued exploring high intensity, low volume exercise to prevent muscle and bone loss in space. They also explored the effects of fatigue due to packed work schedules and sleep loss resulting from the disruption of the normal sunrise/sunset schedule. The crew opened the hatches today to Japan’s fifth “Kounotori” resupply ship (HTV-5) and began unloading new supplies and science gear. The station residents also studied human research and reviewed changes to emergency procedures. The HTV-5 arrived Monday morning carrying cargo and science for the crew and external experiments to be attached to the Kibo laboratory module. The external research gear includes the CALET dark matter study, the NanoRacks External Platform and a flock of 14 CubeSats. One-Year crew members Scott Kelly and Mikhail Kornienko are 151 days into their mission. The duo participated in research today looking at the long-term effects of microgravity on the human body. They collected blood and urine samples for the Fluid Shifts study which observes physical changes to an astronaut’s eyes during a space mission. 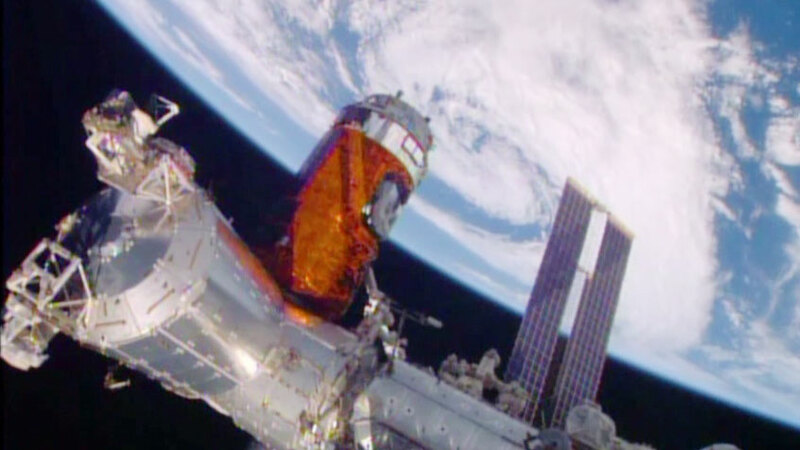 The Japan Aerospace Exploration Agency (JAXA) Kounotori 5 H-II Transfer Vehicle (HTV-5) was bolted into place on the International Space Station’s Earth-facing port of the Harmony module at 10:02 a.m. EDT. The spacecraft’s arrival will support the crew members’ research off the Earth to benefit the Earth. The HTV-5 is delivering more than 8,000 pounds of equipment, supplies and experiments in a pressurized cargo compartment. The unpressurized compartment will deliver the 1,400-pound CALorimetric Electron Telescope (CALET) investigation, an astrophysics mission that will search for signatures of dark matter and provide the highest energy direct measurements of the cosmic ray electron spectrum. 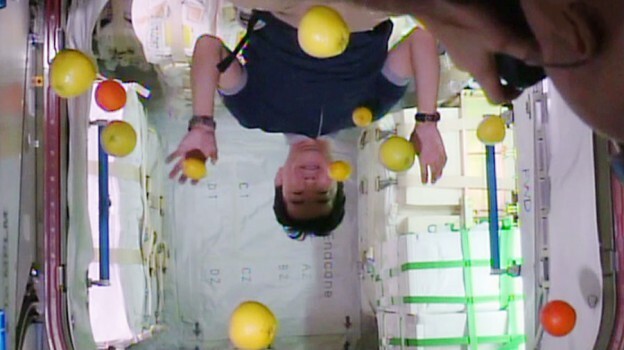 Items to be unloaded during HTV-5’s stay at the orbiting outpost include food, crew provisions, supplies, several Cubesats, and the NanoRacks External Platform capable of housing multiple, diverse investigations mounted to the JAXA Japanese External Facility. JAXA and NASA teams adjusted the cargo manifest to deliver additional food supplies and critical components lost in the failure of the seventh SpaceX commercial resupply services mission. The delivery will ensure the crew has plenty of food through the end of 2015. HTV-5 is delivering two multifiltration beds that filter contaminants from the station’s water supply, a Fluids Control and Pump Assembly used for urine processing to support water recycling, a Wring Collector used in conjunction with the on-orbit toilet, a Respiratory Support Pack used in space to provide breathing assistance to an astronaut in the event lung function were impaired and space suit support equipment used during spacewalks. 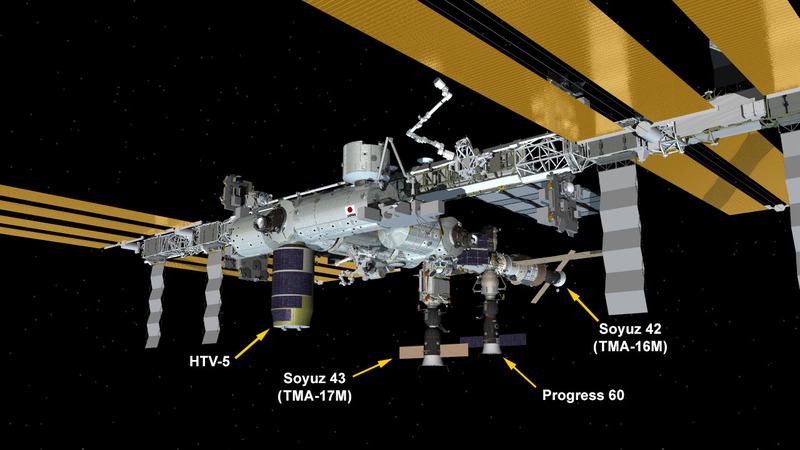 The HTV-5 will spend five weeks attached to the international outpost, then the cargo vehicle will be filled with trash, detached from the station and sent to burn up in Earth’s atmosphere. 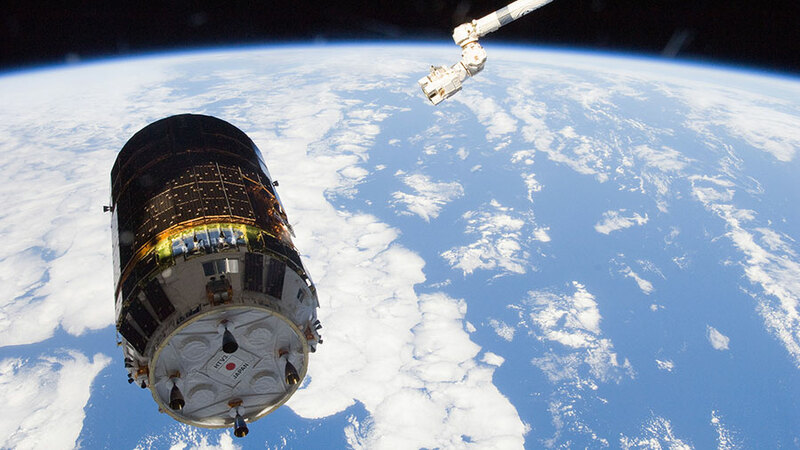 Japan’s third “Kounotori” resupply (HTV -3) ship is seen approaching the International Space Station in 2012 during Expedition 32. Aboard the International Space Station, Expedition 44 Flight Engineer Kimiya Yui of the Japan Aerospace Exploration Agency (JAXA) is making final preparations for the arrival of JAXA’s Kounotori 5 H-II Transfer Vehicle (HTV-5). NASA Television is providing live coverage, which also can be seen online at https://www.nasa.gov/nasatv. Yui will command the station’s robotic arm, Canadarm2, to reach out and grapple the HTV-5, while NASA astronauts Kjell Lindgren provides assistance and Scott Kelly monitors HTV-5 systems. Capture is scheduled for approximately 6:55 a.m. The HTV-5 launched aboard an H-IIB rocket at 7:50 a.m. Wednesday, Aug. 19, from the Tanegashima Space Center in southern Japan. Since then, the spacecraft has performed a series of engine burns to fine-tune its course for arrival at the station. The unpiloted cargo craft, named “Kounotori,” which is Japanese for “white stork,” is loaded with more than four-and-a-half tons of research and supplies, including water, spare parts and experiment hardware, for the six-person International Space Station crew.